Many buyers may not realize that their favorite boating magazine’s brokerage pages or their online search for used boats are mostly represented by the “listing brokers.” Listing brokers have entered into contracts with the sellers of vessels, and both the seller and yacht broker have defined responsibilities. Even though the contract is between the seller of the yacht and the broker, the Association of Yacht Sales Professionals Listing Agreement contract clearly states, “the broker may act as a dual agent representing both owner and buyer in a purchase and sale transaction.” Other than the Listing Agreement, there is no current regulation on dual agency in the yacht market. A broker often finds himself in the delicate position of trying to balance the competing interests of both the buyer and seller. In order to understand why dual agency is so common in yacht brokerage now, we have to go back to the dark ages before the Internet. Prior to online shopping, information on boats was only accessible to yacht brokers. In those days, all yachts on the brokerage market were listed on an MLS system that was exclusively available to brokers. They held the key to finding out what boats were on the market, where they were, and what brokerage house had the listing. The only alternative to sitting down with a broker was to search the boating magazines. However, the brokerage ads in the magazines had been placed sometimes up to two months earlier and often the boats were already sold! The MLS was omnipotent and to have access to it, a buyer usually worked with one broker and that broker would advise which boats were available, organize the showings, present the offer and handle the survey. With the advent of websites designed exclusively for yacht purchasing, things changed rapidly. Buyers could conduct their own search for boats, shop multiple sites and discover “what was on the market” as soon as brokers did. Technology democratized information. Buyers began representing themselves, eliminating the need for a selling broker. Understandably, the initial reaction of the brokers was to fight this change. They even tried to start their own site to control and limit access to the consumer. It may sound ridiculous in this age of transparency, but thousands of dollars were wasted trying to keep boat listings controlled by the brokerage industry. Buyers were doing their online research convenient to their schedules and once they found the boat of their dreams, they called the listing broker directly. No longer did the listing broker deal with the representative of the buyer; he was dealing with the buyer directly. The era of dual agency had arrived! Brokerages embraced the power of the Internet and suddenly having listings was the “name of the game.” Why not? When a buyer called a broker directly, the opportunity to make all the commission of the sale was a real possibility. The more sites you were on, the more commissions you could make! You did not even need an office. One computer, a few listings and voilà! You are in business, simultaneously representing sellers and buyers. 1. Dual agency should be adequately disclosed to the buyer and seller. In sum, shop for a professional broker with the skills and expertise to guide you through the buying process. 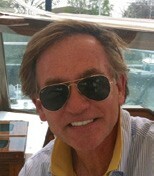 Tom Pilkington is a principal at Prestige Yacht Sales with offices in Norwalk, Essex, and Mystic, CT. Tom started his boating career as VP of Yacht Haven Marine Center in Stamford, CT. On weekends Tom and his wife Jennifer can often be seen boating with their two Springer Spaniels on Long Island Sound.